If you own an older Sony smartphone or tablet and have been waiting patiently on the arrival of Android Marshmallow, you'll be pleased to learn that a slew of aging models have just been added to the pool. Though Android 6.0.1 Marshmallow began hitting Beta Program owners of the Xperia Z2 and Z3 a couple of weeks back, some model numbers were left out in the cold. Thanks to this latest update, almost every smartphone and tablet under the Z2 or Z3 moniker can get a taste of Marshmallow. It's only right that newer mobile devices are prioritized when it comes to software updates, so naturally, the likes of the Xperia Z5 series, Z4 Tablet and Xperia Z3+ were first up in Sony's Marshmallow roadmap. 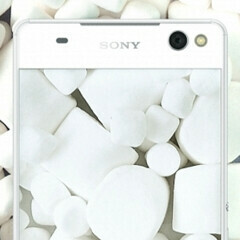 Those rocking the Xperia Z3 (D6603), Xperia Z2 (D6503) and Xperia Z3 Compact (D5803) were then able to install Marshmallow earlier on in the month, provided they were enrolled to the Beta Program. Today, build number 23.5.A.0.570 will begin furnishing a number of additional Xperia X2 and Z3 variants with Android 6.0.1 Marshmallow. Along with those aforementioned, the Xperia Z2 (D6502), Xperia Z3 (D6646, D6653), Xperia Z3 Dual (D6633), Xperia Z3 Compact (D5833) and Xperia Z2 Tablet SGP511, SGP512, SGP521) are now ready for the 900 MB bundle. Cutting a rather lonely figure now is the Xperia Z3 Tablet Compact, which appears to have been excluded. Whether this is due to a technical issue or a conscious decision on Sony's part, remains to be seen. Should any further info come to light on the topic of the Xperia Z3 Tablet Compact's update -- or lack thereof -- we'll be sure to keep you guys informed. Have you updated your Xperia to Marshmallow yet? Let us know how you're getting on with the new firmware in the comments. My old Z2 and Z5 will get update to MM. Thanks Sony. hm , Phoneradar says that is FHD and Gsmarena says that is 4K . I don't think so the z2 an z3 both have 16gb and still got the update. Maybe the software for z3tc just isn't finished yet.